Muscle lesions account for one-third of sport-related injuries, thus representing a substantial problem for both players and their teams. The use of platelet-rich plasma (PRP) injections is rapidly growing in clinical practice, prompted by an unmet clinical need with a large commercial market. However, after early reports of positive preliminary experience, higher quality studies recently questioned the real benefit provided by PRP injections to promote muscle healing and return to sport. To evaluate the effect of platelet-rich plasma (PRP) injections on outcomes following acute muscle injuries. Meta-analysis of randomized, controlled trials (RCTs), Level I.
PubMed (MEDLINE), Cochrane (CENTRAL), Web of Science, clinicaltrials.gov, who.int, isrctn.com, greylit.org, opengrey.eu. 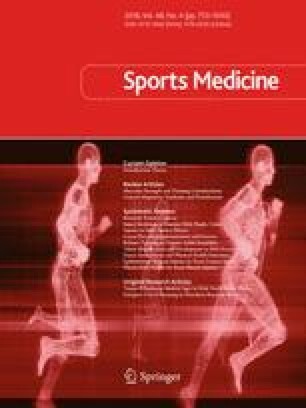 RCTs investigating the effect of PRP for the treatment of acute muscle injuries against at least one control group including patients treated with placebo injection or physical therapy. The outcomes evaluated were time to return to sport, re-injuries, complications, pain, muscle strength, range of motion (ROM)/flexibility, muscle function, and imaging. Six studies, involving 374 patients, were included in the meta-analysis. The time to return to sport evaluated in all six studies was significantly shorter in patients treated with PRP (mean difference = − 7.17 days). However, if only the double-blind studies (n = 2) or studies including only hamstring injuries (n = 3) were considered, non-significant differences were found. Re-injuries (relative risk = − 0.03) and complications (relative risk = 0.01) were also similar between the two groups (p > 0.05), nor were any substantial differences found regarding pain, muscle strength, ROM/flexibility, muscle function, and imaging. The performance bias was high risk due to the lack of patient blinding in four studies. The quality of evidence according to the Grading of Recommendations Assessment, Development and Evaluation (GRADE) was therefore low or very low. The promising biological rationale, the positive preclinical findings, and the successful early clinical experience of PRP injections are not confirmed by the recent high-level RCTs. Therefore any benefit in terms of pain, function, return to sport, and recurrence using PRP injections for the treatment of acute muscle injuries is not supported. Due to the bias in the studies, the heterogeneity of the findings, and the limited sample size, the evidence should be considered to be of low or very low quality. Alberto Grassi, Francesca Napoli and Iacopo Romandini performed a database search, reviewed the articles and were responsible for data collection. Alberto Grassi performed an analysis of the results. Giuseppe Filardo and Alberto Grassi wrote the paper and critically evaluated the results. Kristian Samuelsson, Stefano Zaffagnini, and Christian Candrian critically reviewed and edited the manuscript. Alberto Grassi, Francesca Napoli, Iacopo Romandini, Kristian Samuelsson and Christian Candrian declare that they have no conflicts of interest relevant to the content of this review. Giuseppe Filardo has worked in the platelet-rich plasma field for the past 10 years with no sponsorship. Recently, his institution received support for studying injective agents in osteoarthritis (not in a muscle-related field). This author declares no personal conflicts of interest of direct relevance to the content of this review. Stefano Zaffagnini receives personal fees from Smith and Nephew and DePuy, outside this work, and declares no conflicts of interest relevant to the content of this review.